Best Hiking Apps: A trekking expedition in the mountains once in a while can be a lot of fun. 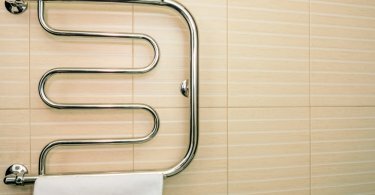 It not only helps you to take a breath of fresh air but also provides the option to spend some time away from the hustle and bustle of city life. However, you have to be really cautious in the high mountain ranges to make sure you are always safe and protected from the hidden dangers associated with high altitude trekking. All thanks to this era of modern technology, there are multiple applications available that can help you on your trekking trail in the mountains and also provide updates starting from advanced weather forecasts to navigational aids. These applications, better known as hiking apps allow the Mountaineers to quickly navigate along trails and also find the best route to the earmarked destination. Also, most of these apps work in the offline mode, meaning you do not need an active data connection to make them work. So to make sure that you have a safe and pleasant journey, we have grouped the best hiking apps below. Before we proceed with the list of the best hiking apps, we want to say that although most these apps can work offline without an active data connection, they work best when the GPS is kept running in the background. Now let us take a look at the list. Mountain Collector is one of the best hiking apps for Android. If you love using Google Maps for navigational purposes then you will surely love this app. 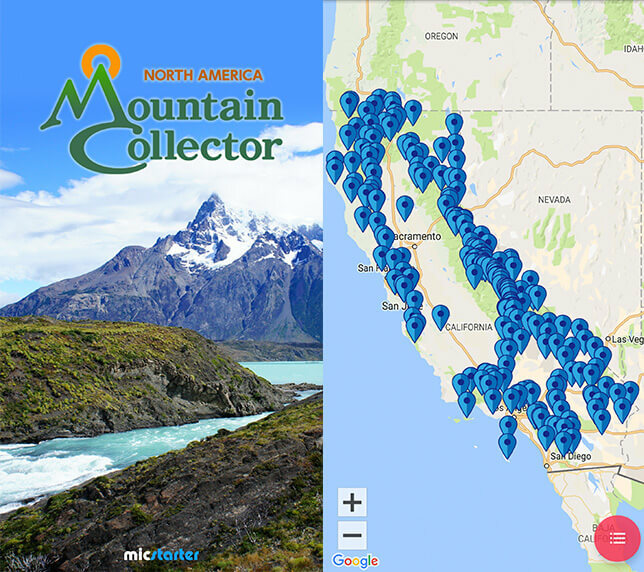 With a very simple and easy to use interface, Mountain Collector provides an easy access to mountain routes, statistics, safe spots and other details of nearly all the mountain ranges of the world. Based on your geographical location, this app allows you to access the best routes available to reach the peak you intend to scale. 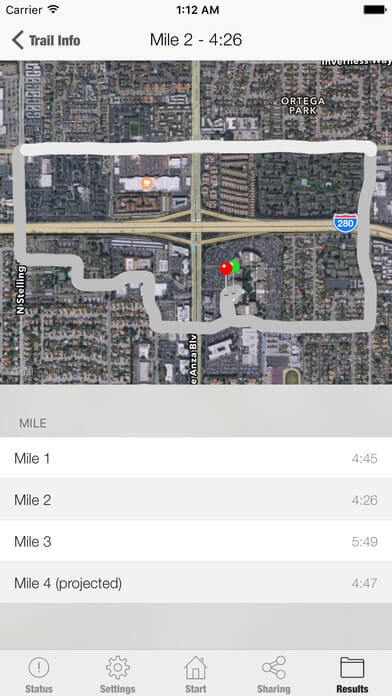 It also allows you to import hiking routes from other applications. 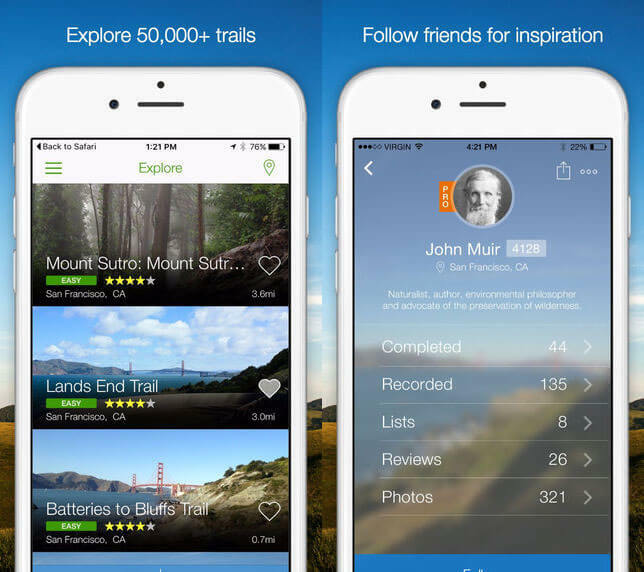 AllTrails is one of the most popular free hiking apps available right now. The app not only provides detailed information about nearby trails based on your current location but also shows photos of obstacles, scenic places to visit and tips from other hikers who have already scaled the area you are planning to visit. The free version of the app also allows you to create your own trail and share it with other hikers if you wish. There is also a paid version of the app starting from $14.99 per year providing greater detail about the mountains. Based on reviews from professional hikers, Trail Tracker GPS is one of the best hiking apps for iPhone that comes with sensitive GPS tracking abilities to provide accurate information about your bearings always. The major advantage of this app over other hiking apps is that you can color code your hikes on this app to avoid confusion in situations where more than one trail is available for a particular hike. 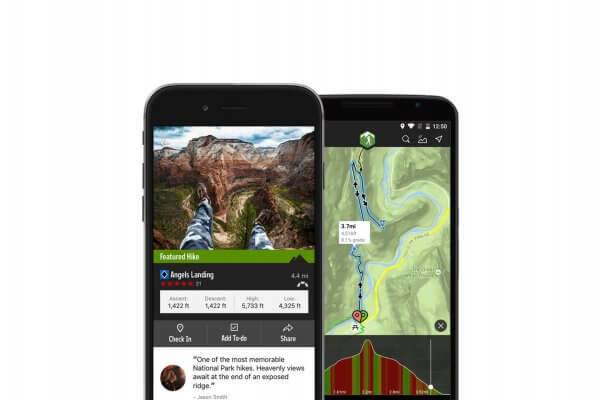 The app also provides interactive graphs and detailed information about peaks and trails. In the event of an emergency, you can also use the app to share your location coordinates for a quicker rescue. Cairn is the best GPS app for hiking that comes with topo maps and trail statistics of the popular mountain peaks of the world. However, the app is mostly known for its advanced safety features like GPS tracking capabilities and the ability to share location-based information to aid rescue efforts during emergencies. 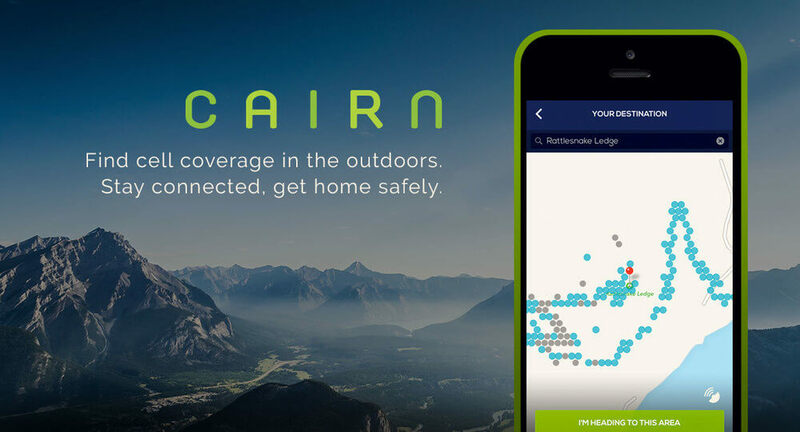 Additionally, the Cairn app also features cell coverage locator, live distance, elevation gain and other stats during the entire journey without draining the battery too much. This hiking app is also compatible with Apple Watches. As mountain weather is very unpredictable, having a good weather app to track the latest changes is a must. 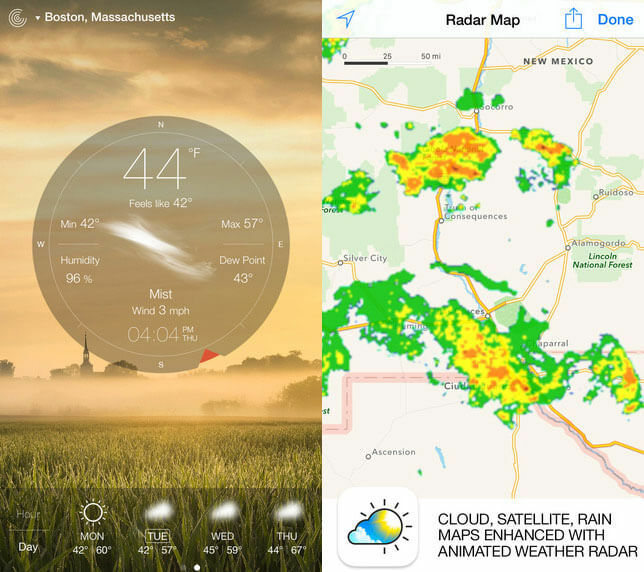 This is where Weather Live comes in handy as it provides live weather updates based on multiple parameters like humidity, pressure, visibility, precipitation, wind direction and speed. It also provides worldwide cloud and rain maps and near accurate forecasts. Available on the Android and iOS platforms, the app is free to download by one and all. It’s for obvious reasons one of the best hiking apps for Android or iOS devices. Hiking Project is the next app that has made it to our list. This app serves the purpose of providing comprehensive information about peaks and trails. With over 74000 miles of mountain trails and new ones getting added every day, Hiking Project gives you access to full GPS routes, elevation changes, challenging features of particular peaks and other useful information. One great advantage of this app is that it can work in the offline mode also. 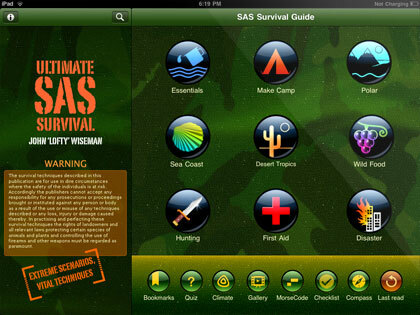 The SAS Survival Guide is one of the most comprehensive survival app designed for hikers. 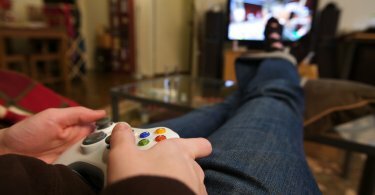 The app is based on a book written by a former Special Air Service (SAS) soldier of the British Army. With over 400 pages of text with videos, Morse code, photos, survival techniques and compass devices, the app can prove to be a lifesaver if you happen to get stuck in an emergency in high altitude. This premium app can be downloaded for $6 on the Android and iOS platforms, although a free version with limited features is also available. Note: If you love hiking and looking for best gears, then you should check out Trekking Gears, as they publish one of the best reviews when it comes to products of this niche. Hiking trips are usually undertaken to take some time off from our daily routine and enjoy the breathtaking beauty of Mother Nature. With these apps in your kitty, you can throw caution to the wind and go ahead with your planned hiking expedition this summer. If you think you know about a better application that can find a place on this list of the best hiking apps, do let us know by using the comment section below. check out the best hiking sandals on m site.